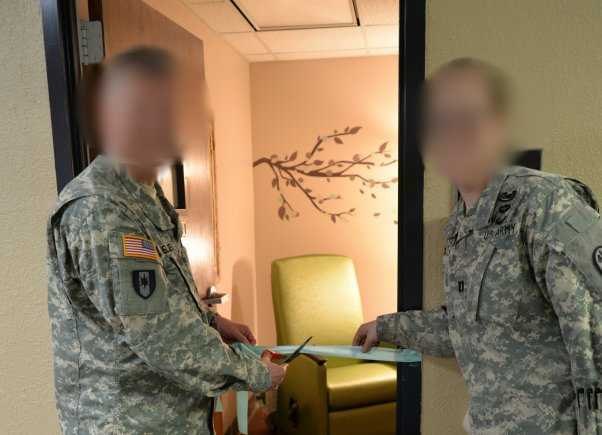 A new breastfeeding room for moms opened at General Leonard Wood Army Community Hospital in Missouri. The nursing room located in Room 612 is designed to be a serene, private space for patients and employees to breastfeed or pump at work. The room is equipped with cabinet and drawer space to store breast pumps, a mini-fridge with a freezer to store breast milk, a reclining chair, and a soothing sound machine for relaxation. You don't need to have an appointment to use it. Just flip the sign to "Occupied" and close the door to express breast milk. 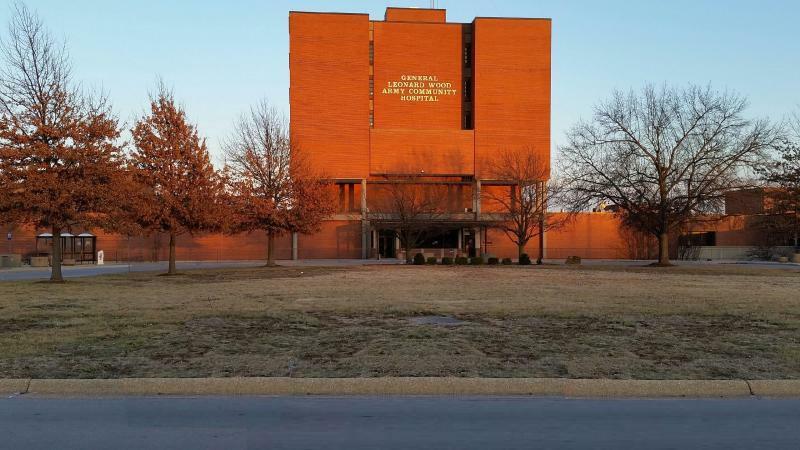 the hospital is the only six story brick structure on the left.